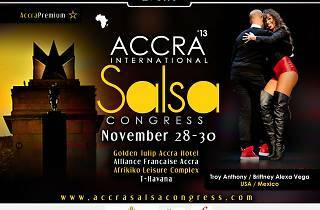 For Latin Dance and Culture lovers, AccraPremium.com announces that The Accra Salsa Congress is coming to Alliance Francaise. 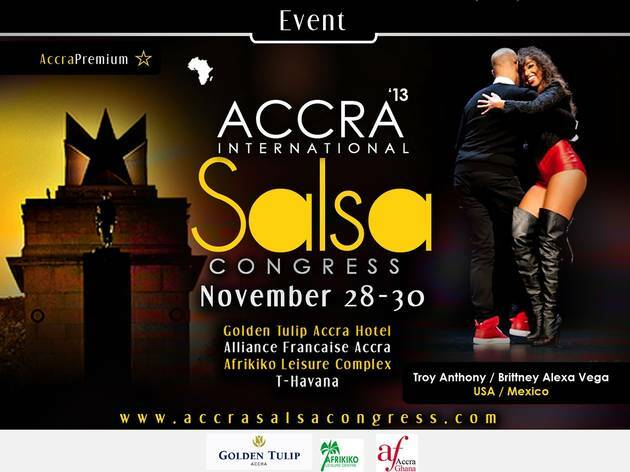 The 3 day festival begins November 28 and ends November 30, 2013, featuring a World Class Line-up of International Salsa Dance Stars from the US, France, Mexico, the UK and Uruguay who will teach dance, perform and socialize. Activities will take place at the Golden Tulip Accra Hotel, Afrikiko & THavana. Saturday Dance Workshops and Grand Finale Dance Showcase will be held at Alliance Francaise Accra on November 30, 2013. Salsa classes from 11 am. The BEST international culture event in Ghana, hands down!